Toks: Ombre hair or dip dyed? Ombre hair or dip dyed? The tips of my hair generally get much lighter during the summer months and everyone thinks I’ve coloured it, ombre style. I love the way it looks. Ombre hair, hair colours that gradually go from pale to dark, or vice versa, was around in 2010 and this season it's becoming very trendy again. Las puntas de mi pelo se aclaran bastante en el verano y todo el mundo piensa que lo he teñido, estilo "ombre hair". Me encanta como queda. 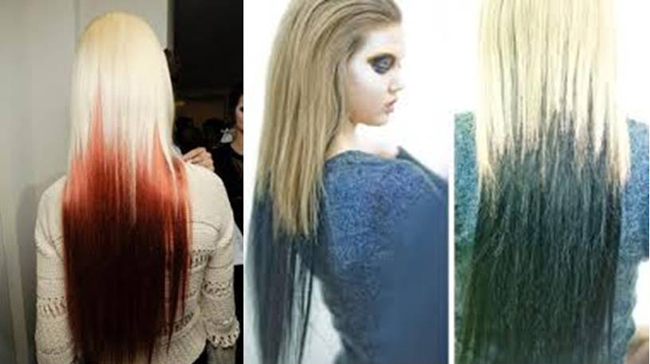 "Ombre hair", colores de pelo que van gradualmente de claro a oscuro o viceversa se veía bastante alrededor de 2010 y esta temporada ha vuelto trendy otra vez. 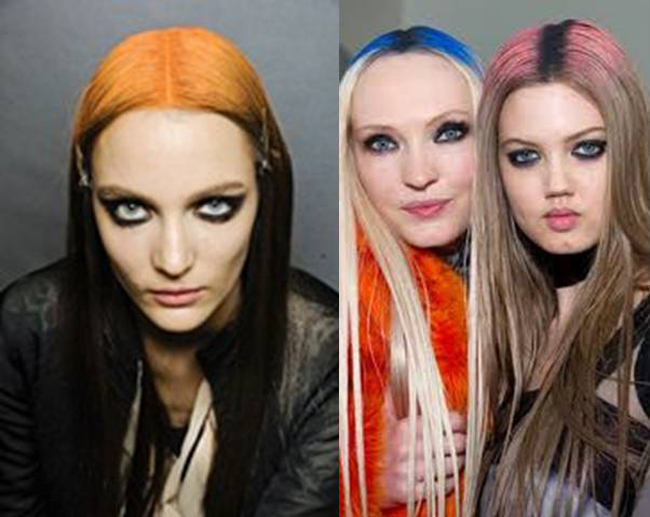 With dip-dye fabrics appearing on the fashion scene, the catwalks for the autumn/winter 2012-13 collections were showing a whole bunch of hair colour combinations. Con las telas "dip dye" apareciendo en las tiendas, en las pasarelas de las colecciones de otoño/invierno 2012-13 había muchas combinaciones de colores de pelo. Prada opted for colours on the lower half of the hair. Jean Paul Gaultier did the reverse and showed coloured roots. Y Jean Paul Gaultier hizo el revés y enseño raíces de color. I think I’ll stick to ombre hair!! Which do you prefer? Creo que me quedo con "ombre hair". Y vosotoros, cual preferís? a mi tambien m ncanta amy!!! Awesome style! Doesn't look good with every color though. la verdad es que original es! nononononononononono! qué horror! mechas californianas como mucho!